A soap bar discovery collection, these chic interior showstoppers are ideal to gift to a host or hostess – and sublime enough to take pride of place in your own bathroom. Editor’s Notes: Enjoy the whole Goddess Soap Collection in one beautiful gift set. Ideal for everyday use (even on the face as they won’t strip the skin), these soaps are pure luxury and long lasting. You’ll certainly feel the difference when using them, as your skin is left feeling soft and nourished. Chic interior showstoppers to gift to a host or hostess and sublime enough to take pride of place in your own bathroom. *Jasminum Soap – Sublime Jasmine Soap to uplift and revive. Considered the ancient ‘queen of flowers’, the name Jasmine is derived from the Persian word ‘yasmin’, meaning a fragrant flower. *Damask Soap – Divine Rose Soap to help relax the body. Ancient Egypt’s Queen Cleopatra was a big fan of the rose, ensuring her banqueting hall was filled with two feet of fragrant roses upon Mark Anthony’s first visit from Rome. *Lavendula Soap – A wonderfully fragrant Lavender Soap to soothe the skin. 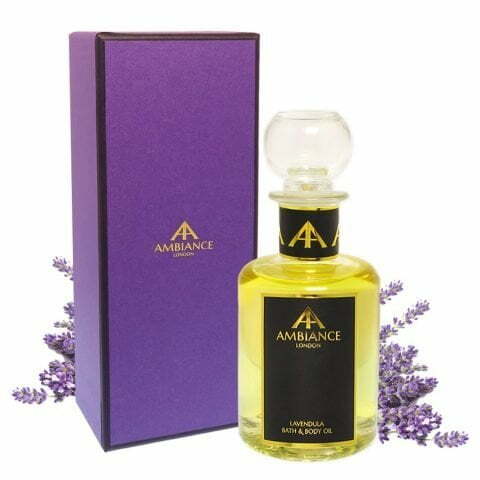 Derived from the Latin word, lavera, meaning to wash, lavender was first recorded by the ancient Egyptians. 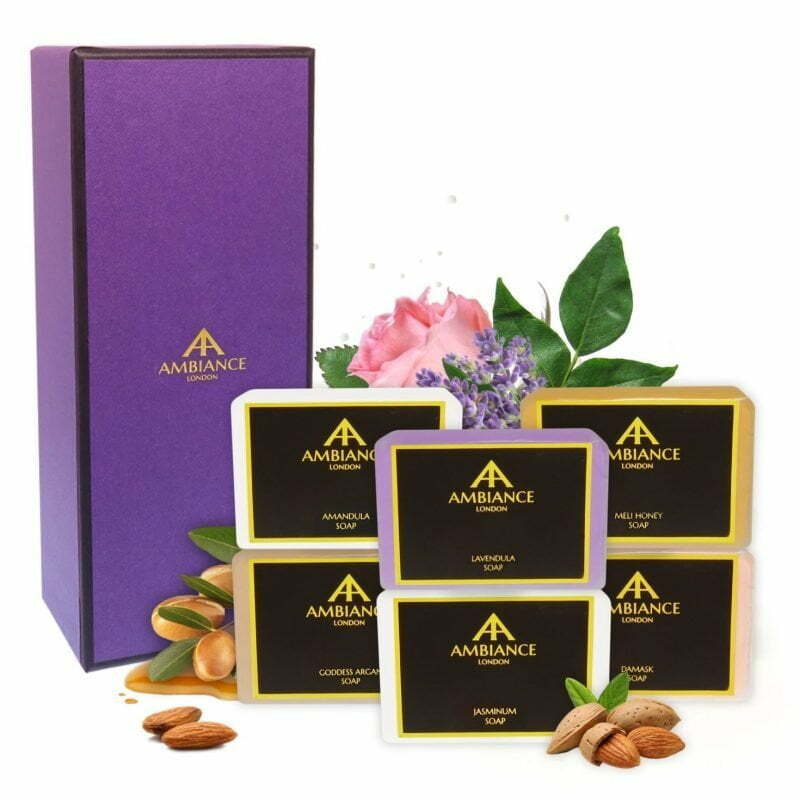 *Amandula Soap – Delicate almond milk fragrance infuses this nourishing almond soap. Used by the Ancient Egyptians, Greeks and Romans, almond milk is excellent for nourishing the skin, firming and toning, and leaves the skin feeling silky smooth. *Meli Honey Soap – A therapeutic and softening honey soap. Proof of honey’s healing properties dates back more than 5000 years. A natural disinfectant and healer of skin wounds, it was a staple ingredient used by the Ancient Sumerians, Phoenicians, Greeks and Egyptians throughout the ages. All your soaps are so gentle but smell wonderful. Looking forward to trying out more of your range.